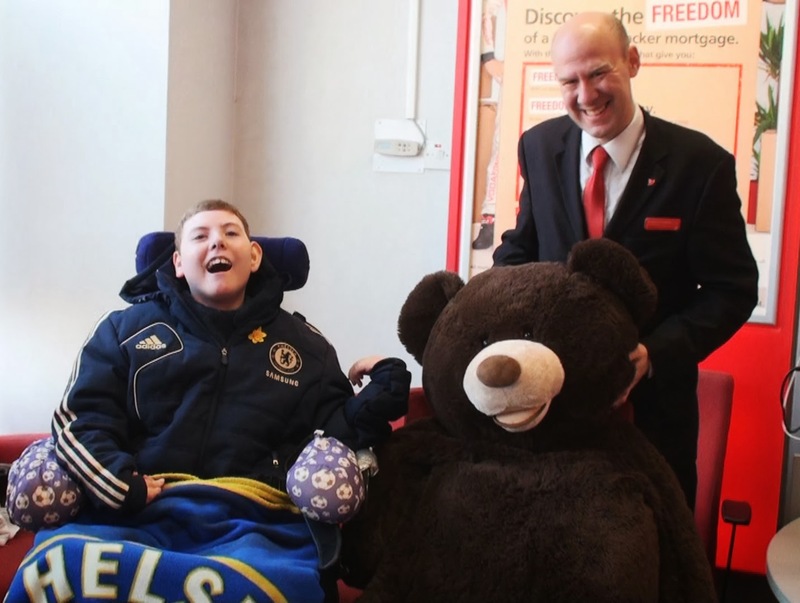 Giant teddy bear 'Tadworth' found his new home today after he was presented to Jamie, the winner of the raffle held by Santander in Central Road. Darren Harding, the manager of the Worcester Park branch presented Tadworth to his new owner at midday today. The competition was running from the end of January. The winner was drawn on Friday 14th February (Valentine's day) and Jamie's parents arranged for him to come and accept his prize today. £32 was raised directly by the raffle and Santander will now match that resulting in a total of £64 being raised for Tadworth Children's Trust. In a rather ironic but happy twist, Jamie himself relies of the Tadworth Children's Trust for his own schooling. So the money raised will ultimately be going to help Jamie and his fellow school friends. Jamie might even choose to donate 'Tadworth' to the school at some later time. Signs Of Things To Come? Are You Free For Breakfast?